Keratin forms the outer layer of epidermis (skin), hair, nails, claws, hoofs, horns and feathers. 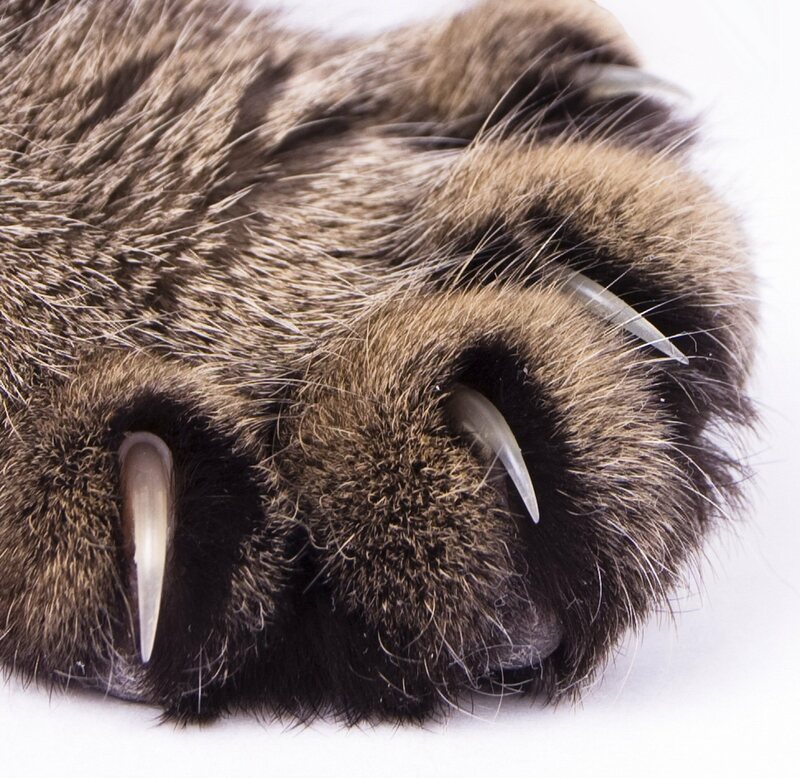 Cats’ claws are protractile, but often (misleadingly) described as retractile. At rest, the claw is retracted; muscular action (contraction) protracts the claw out of, rather than retracts it in. The tough, flat structure on the dorsal surface of a digit. Nail is frequently used to refer to the claw of dogs. They are usually relatively blunt and non-protractile, and therefore usually register in a track. To imprint a track on the substrate (ground). The claw of a bird, usually bird of prey. The tough sheath that covers the tip of a digit of an ungulate. Made from a hard, horny protein keratin. A nail, claw or hoof. The pointed, slender and curved structures on the end of digits (usually toes). Made from a hard protein, keratin. Claws of cats are sharp, protractile, and do not usually register in a track. 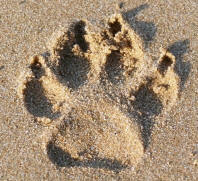 Dogs' claws are relatively blunt, are non-protractile, and usually register in tracks. They are also known as nails.